Reading has been my haven ever since I started learning English. It was back when I was 8, and switched to a bilingual school. I would go home every day, bawling my eyes out, because I could not understand a thing during any class that was taught solely in English. I felt so hopeless, so I forced myself to start reading 2 books everyday – one in English, of course. I think we all had to read books weekly, but I challenged myself to do it daily. The children books’ section of my school library is quite vast, so I had numerous options to choose from. I started reading random short-story books, which I have no memory of. But after a while, I started digging into book series. Of course, at first I understood nothing of what I read. It was all gibberish to me. After a while, though, it started to make sense. I started understanding. And the more I understood, the more immersed I became in these books. So here I present to you several of the book series that kept me company in my childhood. I still feel nostalgic up to this day when I briefly glance at them at my basement’s library and see my bright-colored book collections just sitting there. I plan on giving them to someone special (a child, of course) when the time comes. As for now, their home is my bookshelf. I know the title pretty much sums up their ‘profession’, but that’s far from what they do in the books. I got into these books after finishing with the previous series, and I looved this one so much. The series deals with older girls, so the issues revolve around more ‘teenage’ topics, such as boys, traveling, and part-time working topics. I still remember buying these series back in 4th grade, when I was on vacation in the States. The stunning covers of the book and the fact that the protagonist, Katie, was on the same grade as I was immediately caught my attention. Each book is quite short, and follows the same plot twist, but it was a good read (with very nice illustrations) nevertheless. Jacqueline Wilson became my favorite children’s author for many years to come. I am absolutely in love with her imagination and creativity in each and every one of her books. 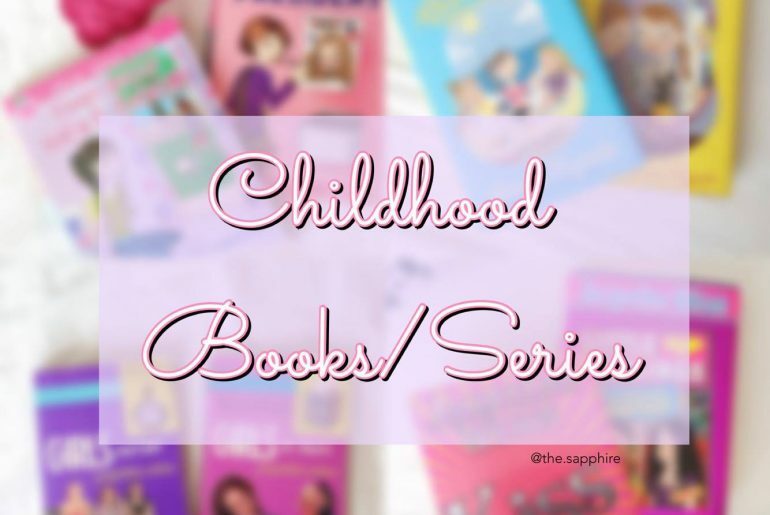 A series that I really delved into was the GIRLS series, which consisted of 4 books. It heavily revolves around friendship and boys, as you might be able to tell. I even watched the TV series, which highlighted my visualization of the books (but of course they were not as good as the books themselves). All of these books were so sad, but really lovely. My Sister Jodie: I didn’t see the ending coming, and I cried when I finished it (quite a long book, but worth every page), and re-read the last chapters to relive the tragic scenes (call me weird). Kiss: I had waited for so long before I could get my hands on a copy of this book. It starts with the protagonist, Sylvie, trying to figure out the mixed-signals her best friend, Carl, keeps sending her. She is obviously madly in love with him, but when the truth as to why he can’t see her that way is revealed… it’s heartbreaking. Little Darlings: Illustrates the life of 2 half-sisters with the same famous dad. However, their economic, social and family lives couldn’t be more different. When they eventually meet, their identity and everything else eventually falls into place. Candyfloss: This is another sad story about the effects of a dysfunctional family on the child. Floss’ parents are divorced, and the lives that each leads is quite different. When her mom leaves with her family to Australia, Floss stays with her dad (who’s ‘poorer’), and that’s when she realizes who she truly is and who her genuine friends are. The typical school setting revolving around a female protagonist, who has dilemmas dealing with boys, friends and school issues. I can’t quite remember what exactly they were about, but it was probably the boy-issues that attracted me. I know – typical. I think it’s needless to say what this series is about. If you haven’t read any of the books, chances are that you have seen the films (which are quite good adaptations, to be honest). Funny, relatable, and easy to read (which constant comical illustrations), the growing-up process of Greg is so awkward it’s hilarious. This was a really sweet series. It follows the life of Winnie, as she goes through every stage of her transition from being a child to being a teenager, and the friends, boys and people she meets along the way. It also deals with more intimate issues, like identity and getting the period (yeah). Sweet Valley Twins: Like the Baby-Sitters Club, the lives of the characters revolve around the school and the small town of Sweet Valley. I don’t really have very clear memories of this series (I don’t know why). I do remember having enjoyed them, though. It’s about Elizabeth and Jessica Wakefield, twins that couldn’t be more different from each other. Sweet Valley High: This series was quite different. The girls are obviously much older here, and they go through more dangerous adventures here. Again – I can’t quite recall what they were about, but I think I was also quite into them. There are other spin-off series that deal with each grade/stage of the twins’ lives, but my library didn’t have them, so. It’s not exactly the typical cheerleader kind of book. The protagonist has to deal with obstacles – jealousy, stereotypes, etc. – to become a welcomed cheerleader. From being a normal cheerleader, to going and winning nationals, to cheerleading with her boyfriend, the series was a fun trilogy to read. You may have heard of The Clique book series (or film), which no I didn’t read, but I did read this series and I was absolutely in love with them. Consisting of 4 books, it deals with very talented (or seemingly talented) girls who are chosen to attend Alpha Academy. There, many secrets and illicit things occur, which lead to even more secrets unraveling and boy drama. I read the series quite several years ago, so I don’t know if I would still feel the same about them if I read the books again now (probably not). But the fictitious world really got me caught-up in it. Have you read any of these books? What were your favorite childhood books? I read so few children’s books! I’ve read one Diary of a Wimpy Kid and thats it off your list. What childhood books have you read? 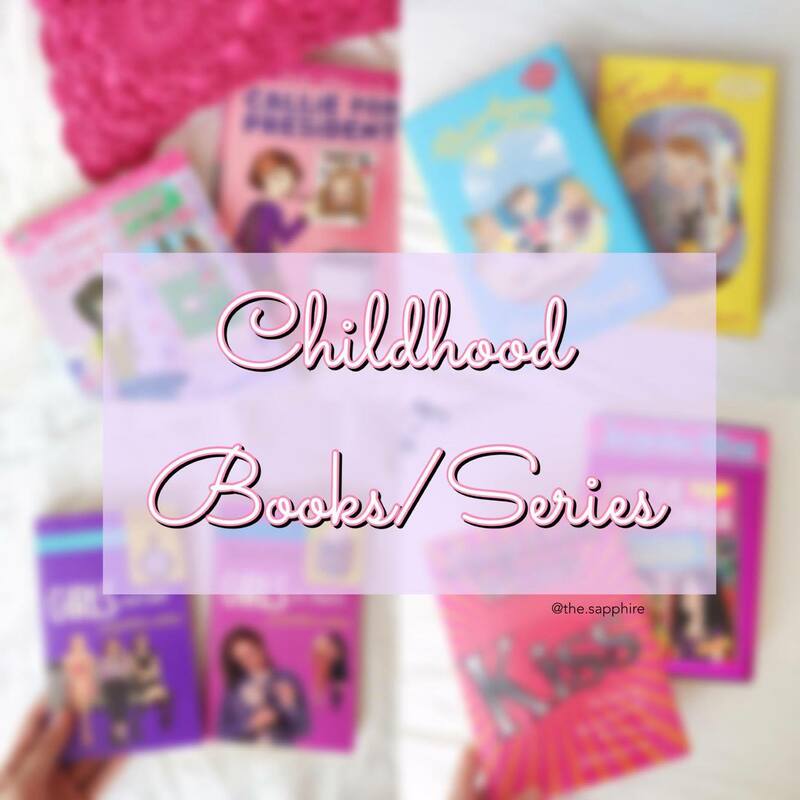 The ones on my list (especially the long series) are from like the 80’s or 90’s – quite old, and I’m not sure whether they sell them regularly at bookstores (prob not) so it would be normal that you haven’t read them. No they do sell them, I just skipped pretty much straight from ‘Junie B. Jones’ and ‘The Magic Tree House’ to YA. hahaha xD I read some Junie B. Jones too, but I grew out of them pretty soon. Same, but I have to give them credit, before Junie I refused to read because I was bored silly by most kids books. I also loved Nancy Drew and Encyclopedia Brown. You’re so right. Children books are what got me started reading, regardless of how ‘good’ I think they are now. I also read a bit of Nancy Drew too, but I haven’t heard of Encyclopedia Brown.